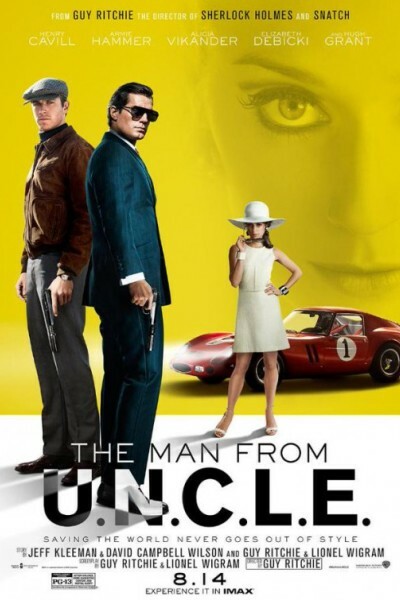 Here’s what I suspect may happen when you see “The Man from U.N.C.L.E.” For the first fifteen minutes, the acting will be so stiff, so stultified, that you might think, “Eek, this is preposterous; these guys are terrible...The Lone Ranger & Superman; I feel bad for them; gosh, this is gonna be rough.” And then, after about forty minutes, you’ll accept it for what it is: a stylistic sixties send-up that’s a bit clunky, but wacky (in a good way) in spite of itself. By the third act, however, when you're fully calibrated and synchronized with the film and that final car chase begins, well, you’ll be entirely hooked, wanna move to Italy, wanna get your hands on all those nifty gadgets, and you’ll think to yourself, “Man, they nailed it! This is a fun-Bond-counterbalance!” The vibe builds, and crescendos slowly, but once it catches fire, it’s a literal blast. We loved it, and will likely see it again, with Lauren next time, who will love it, too.